The “Click and Collect” service is really starting to take off in the UK with 35% of online shopping now using this smart new feature, this it set to double to 70% by 2017 (stat source). 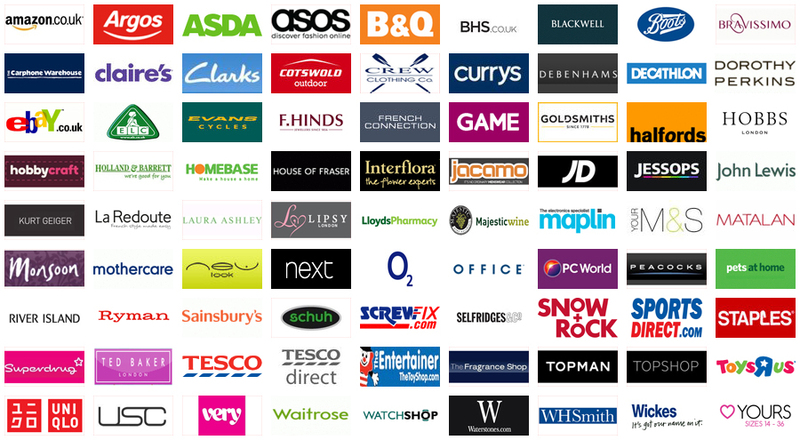 So which shops are actually using click and collect right now?, that’s where we come in by listing all available UK retailers currently using click and collect (approximately 90 UK retailers as of late 2014) and reviewing their individual procedures for using it. For example some retailers have a certain time of the day you need to order by or have a certain 1/3/5 day wait until you can collect from your local store. To get the most from your click & collect experience simply view our retailer pages to get the full low down on your favourite high street name. We will be expanding the list of retailers as and when new ones join this great new way of shopping online! So check back regularly as we will try and add new stores each month. If you find a UK retailer whilst browsing that uses click and collect and is not on our site then please contact us with the info, it will be much appreciated, thank you.